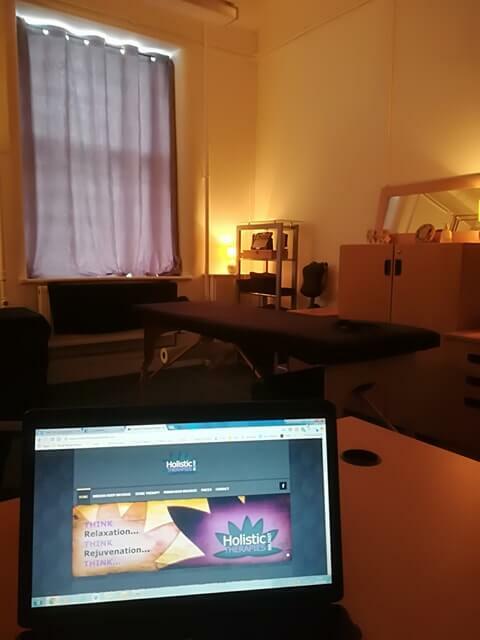 Connect with Holistic Therapies, Belfast on Facebook. I started Holistic Therapies, Belfast in response to increasing stress levels in and around Belfast. At school and during my third level education I loved learning about the inner workings of the human body; it fascinates me still. It was an obvious vocation for me to go into massage therapy because it allowed me to study the subjects that I loved and also was extremely rewarding to hear all the positive feedback about changing peoples’ lives for the better. I have a firm belief that today’s society has a gross over dependence on pharmaceuticals. I have to agree in some cases there is no other option but I think doctors are all too quick to prescribe drugs when other alternatives would be much better for the patients in the long run. There is a lot to be said for leading a life with a balanced diet, fresh water, a regular exercise regime and stress management strategies including a regular massage treatment; you would hardly ever be sick or weak and there are no side effects like drugs and medicines have. People should give the body what it needs to balance and heal itself, not cover up the outward symptoms of weakness or disease. ©2018 Holistic Therapies Belfast. All Rights Reserved.